Injustice 2 Special Editions Include New DLC Characters | Nerd Much? 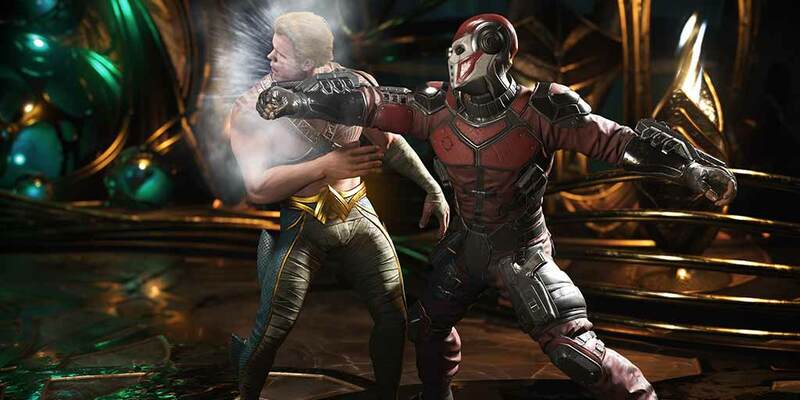 NetherRealm has announced its Digital Deluxe and Ultimate editions of Injustice 2, now including 3 brand new heroes as alternate “Premier Skins” for other characters. These new characters are Power Girl (as a Supergirl skin), Reverse-Flash (as the Flash), and John Stewart’s Green Lantern (as Hal Jordan’s version). Each have new looks, voices, and dialogue. The Digital Deluxe edition will include 3 DLC fighters, which are not detailed or named. This edition also includes the Power Girl premier skin and defender shader pack. However, the Ultimate Edition will include 9 DLC fighters, also not named or detailed. And comes with the previously mentioned new characters and the defender and destroyer shader packs. It is not mentioned whether the DLCs come with the game right away or if it will be scattered throughout the game’s lifespan. As there are quite a few characters in the DC universe, it is entirely likely that plenty more will come. I know I’ll be especially thrilled if NetherRealm includes Watchmen characters. I would love to see those guys come to life with some great voice acting. Injustice 2 is slotted for May 16 on the Xbox One and PS4. Are you pumped for Injustice 2? Will you be getting these special editions? Let us know in the comments below!